Note: As I started to write this post, which comments on the recent B.C. Court of Appeal decision in Vancouver Community College v. Vancouver Career College (Burnaby) Inc., I realized that it was going to be far too long for a single post. I have decided to divide the issues in two. This first post will focus on the official mark question and the issue of goodwill (the first element in a passing off action). A second post will later deal with issues of confusion and damages in passing off. The BC Court of Appeal has recently ruled in a case that involves allegations of online trademark infringement. The parties raised issues around the purchase of keyword advertising, the use of trademarks in metatags and domain names, and the infringement of official marks. However, the Court’s decision ultimately addresses only a subset of these issues, and refers the question of official marks back to the trial court because of deficiencies in the factual record. The Court of Appeal’s decision focuses on passing off. In doing so, it touches on some questions unique to the internet context. The dispute involves two educational institutions with very similar names and a shared acronym. The appellant Vancouver Community College is a post-secondary institution with official designation under B.C.’s College and Institute Act. It began its existence as the Vancouver City College in 1964, changing its name to Vancouver Community College in 1974. The respondent is a private career college called Vancouver Career College. It has operated under that name since 1997. Over time it has expanded its operations considerably. It is regulated under the province’s Private Training Act. Not only do both institutions share the identical acronym VCC, the only difference in their full names is with respect to the middle of the three words used in each. Both names are highly descriptive, and, as such, are inherently weak trademarks. Because of its links to government, Vancouver Community College has taken advantage of the official marks provisions of the Trade-marks Act. These provisions allow a “public authority” to circumvent the usual requirements for trademark registration in order to protect a name or mark. The protection available for official marks is more extensive and more enduring than trademark protection, and the scheme is controversial. While a business would not be allowed to register a trademark that is entirely descriptive without being able to demonstrate that it had acquired secondary meaning, the official marks regime is indiscriminate when it comes to marks. The Vancouver Community College claimed ‘VCC’ as an official mark in January 1999 and also holds the official mark ‘Vancouver Community College’ since 2005. Both dates are later than the adoption by Vancouver Career College of its name – and quite possibly its adoption of the acronym VCC. Case law supports the view that the rather generous protection for official marks is only prospective; uses of the same or highly similar marks that predate the publication of the official marks are permitted to continue, although their use cannot expand to new products or services. The trial judge had found that the prior use of its own name and acronym by the Vancouver Career College insulated it from claims that it violated the Vancouver Community College’s official marks. The Court of Appeal ruled that the factual record was not sufficient to decide the issue. They sought additional facts as to the extent and nature of the use of each of the marks, whether the use by the respondent of the acronym had so expanded as to negate the defence of prior use, as well as facts relating to whether prior use had been abandoned by the time the official marks were published. In addition, because the Court of Appeal had concluded that the Career College’s prior use was tortious, it speculated as to whether the tortious adoption of a mark could count as prior use. It is an interesting question, but as I will discuss below, the Court of Appeal’s conclusions on the tort of passing off are not entirely satisfactory. At this point, it should be noted that there is some circularity around the issue of passing off and official marks. The Community College’s ability to obtain an official mark appears to bolster its claim to goodwill/reputation in the Court of Appeal’s reasoning. Yet official marks receive no scrutiny by the Registrar; they can be descriptive, generic, or confusing with existing marks – there really are few boundaries. As a result, the two analyses must be kept distinct. There may be a violation of rights in an official mark without there being a sufficient factual basis to support a finding of passing off. The threshold for the first is much lower than the second since all that needs to be shown is the existence of an official mark. For passing off it is necessary to establish sufficient goodwill/reputation – in other words, a plaintiff has to show that a mark distinguishes it as the source of particular goods or services. A plaintiff in a passing off case must establish three elements: goodwill, a likelihood of confusion and a likelihood of damage. The first element requires the plaintiff to prove that they have acquired goodwill in a particular mark (whether it be a name, design, acronym, or some other indicium). In this case, the mark at issue is VCC which is an acronym for both Vancouver Community College and for Vancouver Career College. The law of passing off is not particularly generous to those who lack imagination or forethought in coming up with names. Names that are entirely descriptive make poor trademarks. The law is reluctant to provide a kind of monopoly over terms that simply describe a product or service. Both college names share “Vancouver” and “College” – both institutions are based in Vancouver and are of a kind typically referred to as “colleges”. The middle word is different but starts with the same letter, leading to two identical acronyms. As a result, the Community College’s acronym, on the face of it, is very weak. It deserves almost no protection from the law of passing off unless it is able to show that it has acquired such a level of distinctiveness through use by the Community College, that the public now associates VCC with its particular services. Further, even if it succeeds in showing acquired goodwill, it is not necessarily entitled to have the defendant’s use of its mark enjoined. The defendant might still be capable of using the same descriptive mark so long as, in doing so, it takes steps to ensure there is no confusion. The trial judge had concluded that the Vancouver Community College did not have goodwill in the VCC mark. This was in part based on his finding that ‘VCC’ had been little used by the Community College between 1990 and 2013. The trial judge referred to the added level of distinctiveness required for an entirely descriptive mark as “secondary meaning”, and he was correct to do so. Nevertheless, the Court of Appeal took issue with this approach. It opined that because what was at issue was the name of the college, it was not necessary to establish secondary meaning. Instead, it framed the question as whether the acronym VCC “carried sufficient distinctiveness in its primary sense to be recognized as designating the appellant and the educational services it provides.” (at para 40) This argument seems to either miss the point that the name of the college is entirely descriptive as well, or it conflates the name of the college with its status as a public institution. Unlike the B.C. University Act, which limits use of the term “university” to only specified institutions, the College and Institute Act gives no special protection to the term “college”. The Court of Appeal emphasized the public nature of the Community College and found that: “Its public character establishes a level of public awareness of the role it plays in the community” (at para 47). As a public institution, the Community College has access to official marks protection. Yet the huge boondoggle that is official marks protection should only count once – in the context of an official marks analysis – and should not be used to shape a passing off analysis that requires that marks be shown to be sufficiently distinctive to have acquired goodwill or reputation as a condition of their protection. “Vancouver Community College” effectively describes a community college located in Vancouver. It is entirely descriptive. The acronym VCC similarly lacks inherent distinctiveness. In fact, it could stand for Vancouver Civic Centre, Vancouver Chamber of Commerce, Vancouver City Centre, or, in this case Vancouver Career College – to give just a few examples. The Court of Appeal’s decision sets a low threshold for goodwill/reputation in the face of a rather common acronym for a highly descriptive name. While it found sufficient evidence of an association by the public between VCC and the Community College, noting that the acronym was used in media reports, brochures, calendars and other materials, and it was the name of the SkyTrain station near the appellant’s campus. However, the extent of this association (or whether there is also a public association between VCC and the Career College) is not at all clear from the facts. It may ultimately be that the Community College has acquired sufficient goodwill in ‘VCC’ to support an action in passing off. My difficulty with the resolution of this issue is with the road taken to get there. The Court of Appeal never acknowledged the weakness of either Vancouver Community College or VCC as marks in the context of the passing off analysis. While it is still possible to find that such a weak mark as VCC had acquired sufficient goodwill to provide a basis for an action in passing off, the inherent descriptiveness of the mark is relevant to the rest of the passing off analysis. For example, courts have found that minor differences in presentation of goods or services, or the use of disclaimers may sufficiently reduce any possibility of confusion between similar descriptive marks. The interweaving of the official marks issues with the passing off issues is perhaps to blame here. The Court of Appeal seems to be giving the Community College credit for being a public institution, and its burden of establishing goodwill seems to be lightened as a result. This approach ignores the very special (i.e., ‘anomalous ‘ or ‘problematic’) character of official marks. Note: Part 2 of this comment is now available here. The Supreme Court of Canada has struck down Alberta’s Personal Information Protection Act (PIPA), on the grounds that it violates the guarantee of freedom of expression in the Canadian Charter of Rights and Freedom. The invalidation of the legislation has been suspended for 12 months to give the Alberta government time to amend the legislation so as to bring it into compliance with the Charter. The conflict between privacy rights and the freedom of expression in Information and Privacy Commissioner of Alberta v. United Food and Commercial Workers, Local 401 arose after an adjudicator under PIPA ruled that the Union’s practice of taking photographs and videotapes of people crossing its picket line during a labour dispute – and of using some of the footage on its website – contravened the data protection statute. Judges at the Alberta Court of Queen’s Bench and the Alberta Court of Appeal had found that to the extent that PIPA restrained the ability of the Union to collect, use and disclose personal information in relation to a labour dispute it violated the Union’s freedom of expression. Although the statute contains a series of exceptions that cover a range of circumstances, none of these exceptions were available to the Union. Some of these exceptions were specifically crafted to balance privacy rights with the freedom of expression, but the exceptions for material collected, used or disclosed “for journalistic purposes and for no other purpose” or “for artistic or literary purposes and for no other purpose” were found not to apply to the Union’s activities. As a result, the limitation on the freedom of expression was not mitigated, and the legislation was found to contravene the Charter. In substance, the Supreme Court of Canada was of much the same view as the courts below. Emphasizing the importance of freedom of expression in the labour relations context, Justices Abella and Cromwell, for a unanimous court, found that the private sector data protection statute did not properly balance this freedom with privacy rights. In reaching their decision, Justices Abella and Cromwell emphasized the quasi-constitutional nature of data protection legislation “because of the fundamental role privacy plays in the preservation of a free and democratic society.” (at para 19) The Court also emphasized that control over one’s personal information was of central importance to the human values of autonomy, dignity and privacy. While the court has made statements of this nature before, it is important to hear them used in relation to private sector data protection legislation. However, the Court criticized PIPA for limiting the collection, use and disclosure of personal information, other than with consent, “without regard for the nature of the personal information, the purpose for which it is collected, used or disclosed, and the situational context for that information.” (para 25). While this may be true in the particular factual context of this case (in other words, there is no exception tailored to the labour relations context) it is not true generally, as PIPA does indeed include a raft of exceptions to the consent principle that are tailored to a wide range of contexts, including investigations, audits, archival purposes, and so on. There are also the above-noted exceptions for journalistic, artistic or literary purposes, and further exceptions for information collected for purely private or domestic purposes. The flaw, it would seem, is that PIPA does not contain an exception crafted to deal with the labour relations context. This is supported by the Court’s statement that “the Act does not include any mechanisms by which a union’s constitutional right to freedom of expression may be balanced with the interests protected by the legislation.” (at para 25) Later in the decision the Court states that “[t]o the extent that PIPA restricted the Union’s collection, use and disclosure of personal information for legitimate labour relations purposes, the Act violates s. 2(b) of the Charter and cannot be justified under s. 1.” (at para 38) It would appear, then, that the constitutional violation is narrowly cast; a fairly straightforward way for the legislature to respond to the Court’s decision would be to craft an exception specifically for the labour relations context. It is worth noting that the Court also specifies that PIPA is “considerably broader” in scope than the federal private data protection statute, the Personal Information Protection and Electronic Documents Act (PIPEDA). This is because PIPEDA applies only to the collection, use or disclosure of personal information in the course of commercial activity. Thus it would not have applied in the circumstances of this case. PIPA, by contrast, applies to organizations engaged in a much broader range of activities; its application specifically extends to trade unions. The distinction is important: in the unlikely event that the Alberta government does not act to save its legislation, PIPEDA would fill the gap left by PIPA’s invalidation, and would apply to private sector data collection, use and disclosure in the course of commercial activity in Alberta. The distinction also suggests that PIPEDA itself is not at risk of being found unconstitutional on these grounds, and that Parliament need not act to save it from such peril. This is just as well, since Parliament’s inability or unwillingness to reform PIPEDA is by now well-established. It is noteworthy that the Court states that “[i]t goes without saying that by appearing in public, an individual does not automatically forfeit his or her interest in retaining control over the personal information which is thereby exposed.” (at para 27). It is not to be assumed that this goes without saying. For example, in the Leon’s Furniture decision from the Alberta Court of Appeal, for which leave to appeal to the Supreme Court of Canada was refused, the majority of the Court of Appeal had appeared to find a correlation between private and personal information, suggesting that information in public view was somehow exempt from the reach of data protection legislation. The affirmation by the Supreme Court of Canada that information in public can still be personal information is more important than the Court lets on. The decision in this case raises issues for British Columbia’s Personal Information Protection Act, which, like its Alberta counterpart, applies to trade unions. It will also have implications for the newly enacted, though not yet in force, Personal Information Protection and Identity Theft Prevention Act in Manitoba. This statute, which has other issues, also extends in its application to unions. The BC and Manitoba legislatures may thus also need to turn their attention to crafting an exception relating to the application of the statute to the labour relations context. Federal Court Decisions Signals Shift in Approach to Damages for Privacy Breaches? A recent decision of the Federal Court of Canada may demonstrate a new willingness to give greater bite to the rather limited recourses available under federal data protection legislation for privacy breaches. A chronic problem with private sector data protection law in Canada has been the rather impoverished remedial arsenal available to address privacy breaches. In those contexts where the Personal Information Protection and Electronic Documents Act (PIPEDA) applies, for example, the Federal Privacy Commissioner plays the role of an ombud. She is able to investigate complaints and to make recommendations, but has no order-making powers. She has recommended that PIPEDA be amended not only to give her such powers, but also to enable her to impose fines on organizations in cases of egregious privacy breaches. Parliament, however, has shown little interest in amending PIPEDA to address these and other concerns. Absent any real enforcement powers in the hands of the Privacy Commissioner, individuals who have filed complaints under PIPEDA receive a report on the investigation of their complaint, complete with non-binding recommendations. Should they wish to see these recommendations enforced by court order, or should they wish to receive compensation for any damage they have suffered, they must take the matter to Federal Court. To date, relatively few have chosen this option, all have been unrepresented, and only a handful have been successful in obtaining damage awards. Where damages have been awarded, the amounts have been relatively small. This is why the recent decision in Chitraker v. Bell TV is interesting. In this case, the applicant sought damages for breaches of Bell TV’s legal obligations under PIPEDA. Chitraker had ordered satellite TV service from Bell, and had signed an electronic Proof of Delivery Device when the service was installed in his home. Bell TV then lifted the signature from this device, without Chitraker’s knowledge, and affixed his signature to a contract. Chitraker had not been given a copy of this contract. Among other things, the contract provided that the customer consents to Bell TV performing a credit check. Relying on this clause, Bell accessed Chitraker’s credit history without his actual knowledge or consent. When he later learned of this, Chitraker contacted Bell to begin what turned out to be a long and fruitless customer service runaround. The most he received from Bell was an apology left in his voicemail. Chitraker eventually filed a Complaint with the Office of the Privacy Commissioner of Canada (OPC). The complaint was investigated, ruled well-founded, and recommendations were made to allow Bell to bring itself into compliance with the law. Chitraker then took the matter to the Federal Court, seeking compensatory and aggravated damages for the breach of his privacy rights, and for Bell TV’s “malicious and high-handed conduct” (at para 1). As is typical in these cases, Chitraker represented himself before the Federal Court. Less typical was Bell TV’s failure to respond to the applicaton. Justice Phelan noted that this “failure to appear in this Court is consistent with its disregard of Chitraker’s privacy rights.”(at para 18). He also noted that without any submissions from Bell it was impossible to know whether the company had implemented any of the OPC’s recommendations. Justice Phelan was critical of Bell’s failure to compensate Chitraker for what he considered to be a significant breach of his privacy rights, and one that might have had actual adverse consequences for him. He noted that Bell took no steps “to compensate for breach of Chitraker’s privacy rights” (para 22). This wording is interesting since there is nothing in the Act which speaks of an obligation to “compensate”. For the most part, PIPEDA is currently oriented towards correcting improper business practices. Certainly in this case, the court was critical of Bell’s apparent lack of interest in doing even this much; nevertheless, the language used may signal a greater openness to actual compensation for harm suffered. In spite of the lack of evidence of any direct loss suffered by Chitraker, Justice Phalen was prepared to award damages, noting that “there is no reason to require that the violation be egregious before damages will be awarded.” (para 24) This is a most noteworthy departure from earlier case law. For example, in Randall v. Nubody’s Fitness Centres, Justice Mosely of the same court had ruled that a damage award “should not be made lightly and that such an award should only be made in the most egregious situations”. This point was also cited by the Federal Court in another decision, Nammo v. TransUnion of Canada Inc. In Nammo, the first case in which a damages award was made under s. 16 of PIPEDA, the court had awarded $5,000 for what the court clearly felt qualified as an “egregious” situation. In Chitraker, Justice Phelan emphasized the importance of privacy rights “in an era where information on an individual is so readily available even without consent.” (at para 25) He also took into account the nature of the respondent, noting that “Bell is a large company for whom a small damages award would have little material impact.” In a notable departure from the rather stingy approach of the court in Nammo, Justice Phelan awarded Chitraker $10,000 in damages, with an additional $10,000 in exemplary damages and a further $1,000 in costs. Although the elevated damage award in this case no doubt reflects the particular circumstances, including Bell’s apparent disinterest in addressing the privacy concerns, it does mark an important departure from the Federal Court’s previous approach to damages under PIPEDA. The recently revised Copyright Act contains many new exceptions to copyright infringement. Some of these involve additions to existing exceptions (expanding fair dealing to include education, parody and satire, for example), and quite a number of them are exceptions that normalize activities that used to be considered copyright infringement in spite of the fact that everyone engaged in them (like home recording of TV shows, making backup copies of software, or ripping one’s CD collection so that it can be played on an mp3 player). Today I will talk about one of the new exceptions that is noteworthy because unlike these other exceptions it is not about modernization of the law through updating or adapting the law to well established contexts. The exception for User Generated Content addresses the evolving and emerging ways in which works are created and disseminated in our contemporary digital culture. This exception is situated in the context of a strong collection of SCC jurisprudence that directs courts to consider the importance of balancing creators’ rights against the public interest in innovation, creativity and the broad dissemination of works. During the long progress of this bill into law, the UGC exception was dubbed the YouTube exception, in reference to what was perhaps its paradigmatic activity. For many, it was the idea that (as happened in the US) a mother might be sued for infringing copyright in music playing in the background of a home video posted to YouTube featuring a cute toddler dancing around, that justified the enactment of the UGC exception. Yet while this may have been the paradigmatic activity (something that would not have been captured by fair dealing exceptions), the UGC exception is intriguing because it is rather breathtakingly broad in terms of the kinds of activity to which it might apply. 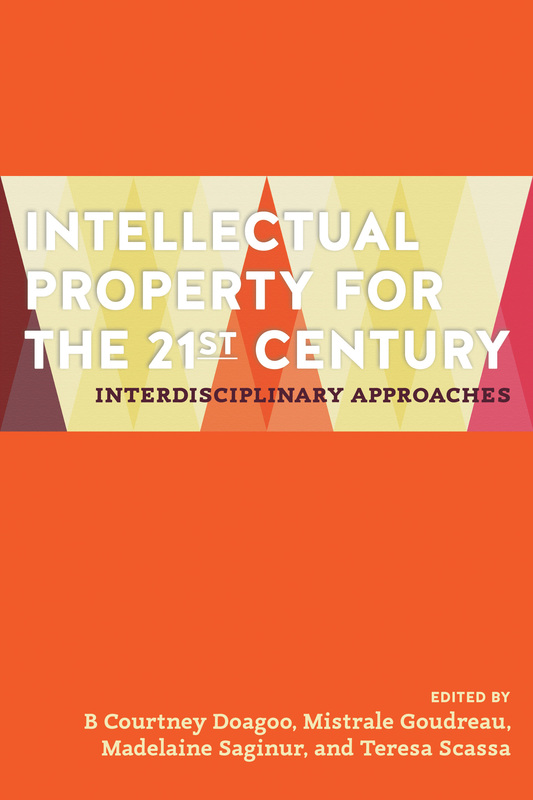 From one perspective it is a licence to build on the works of others; from another it is a potentially sharp curtailment of the scope of a copyright holder’s ability to control the use of their work. In the end, the scope and importance of the UGC exception may come down to how its limiting provisions are interpreted: and in this regard, the direction already charted by the SCC in its recent copyright decisions will likely have great bearing. So – what is UGC? UGC flows from the twin phenomena of deprofessionalization and disintermediation. With the now widespread availability of sophisticated, user-friendly, and increasingly portable technologies and software, ordinary individuals, with no specific training are able to engage in a broad range of activities –creating films, recording or remixing music, compiling information, mashing up different works or different types of works – that were once the exclusive domain of professionals. At the same time, digitization, the internet and the rise of social media have made it possible to disseminate user-created works to a global audience without the need of the traditional intermediaries for content publication and distribution. The result is a profoundly different environment for the creation and dissemination of “works” of all kinds within a rapidly transforming normative environment. What is new here is not the fact that “users” are generating new content using existing works – people have always done this, and it has been either tolerated (or undetectable) when carried out for private purposes. What is new is the scale of this activity, along with its social, political and economic consequences. The concept of layered rights in a work is well-established in copyright law. For example, the Copyright Act specifically recognizes the independent copyright that will arise in a translation of a work, notwithstanding the fact that the making or authorization of a translation is one of the exclusive rights of the copyright holder. Musical arrangements are also recognized as works independent of the original (although, if unauthorized, they may also be infringing). The whole category of adaptations of works (in the US, derivative works) recognizes that new works can be created from pre-existing works; but that these works may infringe on copyright in the original. What the UGC exception injects into this concept of layered rights is the possibility that someone may create a new work using a pre-existing work in which copyright subsists, AND that they may disseminate it widely, so long as they do so non-commercially, and so long as this does not (and this is the tricky part) have a “substantial adverse effect, financial or otherwise, on the exploitation or potential exploitation of the existing work.” The exception offers more than fair dealing, in that the purposes for the creation of the UGC are not restricted in any way. In a sense this exception seems to acknowledge that in contemporary society, people interact with digital content in a wide variety of ways, and that such interactions do serve some public purpose, whether it’s the fostering of creative self-expression, the creation and dissemination of new knowledge, or simply a now accepted way of participating in culture in an interactive manner. What I would like to do now is look at the potential scope and limitations on the UGC exception, keeping in mind the approach laid down by the SCC to addressing the balance of competing interests in copyright law. To qualify as UGC for the purposes of this exception, the author of UGC must use an existing work – with no limitations on kind or category; and they must use it to create a new work in which copyright subsists. This is a very broad definition with the potential to include all manner of works. Leaving aside dancing toddlers, the exception is broad enough to include things such as an unauthorized translation of a work, and a compilation (which can be a work that is comprised of other works). (Of course, it is much broader than this, but I have chosen these two examples to illustrate the sheer scope of the definition of UGC). Indeed, if you take the example of a compilation, it would seem that the UGC exception might finally make legal in Canada the much loved but always illegitimate mix tape – a compilation of songs chosen by its maker for their particular significance or in the hope that they will impress or seduce the recipient. None of the other exceptions – the one for private copies, the exception for copying music onto blank audio recording media, or even fair dealing – would seem to legitimate the act of creating a compilation of musical works for the purpose of giving it to someone else; but the UGC exception seems not only to include such a creature within the definition of UGC, it also legitimates the non-commercial distribution. Many creators already draw upon pre-existing works in the generation of new works. The UGC “User” is different from other creators largely because the works she draws upon to create her own works are still protected by CR and, unlike other creators who make use of the works of others, she may lack the economic ability to obtain a licence for her use of the work. Unlike other creators, her immediate expressive goals may also be served by non-commercial dissemination. It will be interesting to see whether the implicit view that UGC is somehow parasitic in nature colours how UGC is dealt with by the courts in cases where the source work or works are ones in which the subsistence or scope of copyright might reasonably be challenged. Thus, for example, assume that the UGC work is a mashup of data, or an app that makes use of data from other sources. Providers of data, including governments at all levels in Canada, tend to assert copyright in data in rather broad terms (not all government data, for example, is made available under an open licence, and even the open licences assert copyright in the data sets), so the claim to copyright is there, even though it may be either unsupportable or rather limited in scope. If the creator of a work that is built upon data from other sources decides to commercialize their work, rather than continue to disseminate it at no cost, it will be interesting to see how the UGC exception is reconciled with the use of works in which – to borrow the language of the USSC, copyright is “thin”. In other words, will the focus ultimately be on the legitimacy of the use, or will it be on the legitimacy of the copyright claim? What I wish to underline here is the potential of the UGC exception to push users towards non-commercial dissemination in contexts where commercial dissemination is a real option. One would hope that the strong line on balance taken by the SCC would direct courts towards a careful examination of the underlying copyright claims before shifting their attention to the limits of the exception. In order to further explore the strengths and weaknesses of this exception and its relationship to other provisions in the Copyright Act, I am going to use an example as an illustration. A translator typically uses a work protected by copyright as a basis for their translation, which is a work in its own right. The amateur and unauthorized translator used to infringe copyright (unless somehow fair dealing could be asserted) when they created their translation. Let us assume that Gail is a skilled freelance English/Estonian translator in Canada. She is a huge fan of an obscure Estonian author’s first novel. That author’s market share in Estonia is already small, his publisher, who owns all of the rights in his works, sees no market for an English translation of the book. In her spare time, Gail translates the work and publishes her translation on the Internet, where it begins to develop a following. To qualify for the UGC exception, the use of the new work or the authorization of its dissemination must be solely for non-commercial purposes. The concept of non-commercial is a tricky one, and it will be interesting to see how it is interpreted. If Gail is not selling copies of her translation on the Internet, this would appear to be non-commercial. On the other hand, if her skilful translation brings attention to her and results in her receiving translation contracts is there now a commercial dimension to her posting of the work? Does it make a difference whether she posts the translation on Facebook or Wattpad, or whether it is placed on her personal website which she also uses to advertise her services as a translator? The non-commercial restriction is only for the creator of the UGC. Dissemination of the UGC may be carried out for the commercial purposes of the intermediary. Thus it is not an objection to argue that YouTube or Facebook are commercial enterprises. Their role in disseminating the UGC does not disqualify the UGC from the application of the exception. Of course, this creates an interesting dynamic, since it means that SOMEONE may be commercially exploiting the original copyright protected work – if not, perhaps the creator of the UGC. The growing popularity of Gail’s translation may drive users towards a website that features advertising content. This indirect commercial exploitation may frustrate copyright owners. Yet as the SCC has now repeatedly confirmed, the broad dissemination of works is a public good, and one against which owners’ rights must be balanced. Since advertising is a part of the business model for sites that aggregate and disseminate UGC, this commercial dimension may be tolerated as a necessary evil in order to achieve broad dissemination. Perhaps the most open-ended limitation on UGC – and one which is most problematic for those who wish to rely on the exception is that which precludes uses that do not “have a substantial adverse effect, financial or otherwise, on the exploitation or potential exploitation of the existing work”. Unfortunately, this is “shut down” language. It is open-ended enough that it might not only discourage a creator of UGC from disseminating work online, it might be the meat of a very intimidating cease and desist letter. In the case of Gail’s translation, it may be that the growing popularity of the work as a result of her translation means that there is now a market for an English-language translation of the book – although this market is now adversely affected by the availability of Gail’s free translation. As a non-commercial content creator is unlikely to have pockets deep enough to withstand the threat of litigation, this kind of language may unfortunately gut much of what is promising and interesting about this exception. It is also not clear whether the moral rights provisions of the Copyright Act will operate to limit the creation and dissemination of UGC. The UGC exception provides that qualifying UGC will not infringe copyright, but it is silent as to moral rights. Where the UGC can be argued to result in a mutilation or modification of the original work to the prejudice of the honour or reputation of the creator, then it will be in violation of the creator’s moral right to integrity. Assume that the original author of the work feels that Gail’s translation creates an entirely different mood to the book than that which he believes he created in his own work, or that she has chosen to have the characters speak in a particularly informal kind of English which he feels is completely inappropriate. Jurisprudence on moral rights is relatively uneven and unhelpful; it is not clear how the UGC exception, the need to create a balance of rights, and the moral rights provisions will be reconciled with each other. Finally, it is worth asking what the relationship is of UGC to the fair dealing exception. The Supreme Court of Canada has now sent repeated strong messages about how the user’s right of fair dealing should be interpreted and applied. UGC has an interesting relationship to fair dealing: Not all UGC will fit within the fair dealing exceptions, but some will. For example, UGC that is parodic or satirical may also qualify as fair dealing. As the SCC has already told us that fair dealing is always available as an exception notwithstanding other applicable exceptions, one can assume that a parody or satire that is exploited commercially and that therefore does not qualify for the UGC exception, might still be considered under the fair dealing provisions. Gail might perhaps argue that the translation of the work was for the purposes of the potentially very broad category of “education”; she was hoping to educate the public about a talented but obscure Estonian writer. In that case, the fact that the work may have an adverse effect on some potential market for the work is only one of the factors that would be taken into account by a court in an assessment of fair dealing. Although there is much interpretive uncertainty surrounding this new exception, what the messages sent by the SCC in the copyright pentalogy do is signal an approach to the interpretation of all of the copyright exceptions in a manner that achieves a proper balance between the competing public interests served by copyright law. In particular, the emphasis on the importance of the dissemination of works – including and perhaps in particular their dissemination over the internet, will signal to other courts the need to take into account the value and centrality of this mode of communication in contemporary society, as well as the shifting dynamic of the creation and dissemination of works. 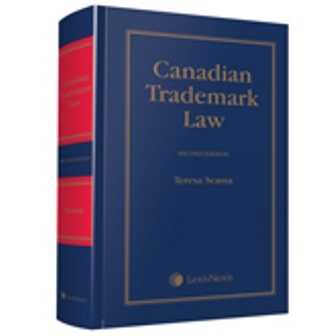 Published in 2012 by CCH Canadian Ltd.